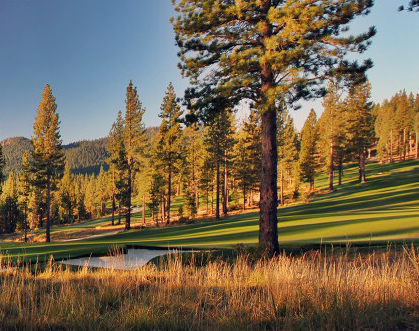 The United States Golf Association (USGA) has chosen Martis Camp in Truckee to host the U.S. Junior Amateur Championship. The championship will be conducted July 20- July 27, 2013. Competitors must be under the age of 18. For the record, Tiger Woods won three consecutive titles from 1991 to 1993. The youngest champion was Jim Liu in 2010, who won at the age of 14. Liu was 6 months younger than Tiger when Tiger first won. The winner receives a gold medal and custody of the U.S. Junior Amateur Championship trophy for one year. The private Martis Camp course was designed by renowned golf course architect, Tom Fazio. The course opened in 2008 and was soon ranked third best new private course in the country by Golf Digest. Admission to the championship is free and the public is encouraged to attend. Volunteer registration is open now. Shifts are generally 6 hours in length. Registration is available on the Martis Camp website. Sat. July 20, First day of official practice rounds. Sun. July 21, Second day of official practice rounds. Mon. July 22, First round of stroke-play qualifying. Tues. July 23, Second round of stroke-play qualifying. Weds. July 24, First round of match play. Thurs. July 25, Second and third rounds of match play. Fri. July 26, Quarterfinal and semifinal rounds of match play. Sat. July 27, Championship match (36 holes).